We live in a land where some numbers seem to be more significant than others. For all the mystical relevance attached this year to the number 8, anniversaries came and went as the days passed. Each day was rich in exhibitions, documentaries, and a long parade of events to memorialize the history of this nation. While the emphasis on history was well worth our time and attention, life went on, there was work to be done, and as far as we could tell, the revolution was not televised (except on social media). Thus, the year that is all but past, with all its celebrations, ultimately leads us only to fond recollections of the people we met and the stories we shared. As we reflect back this Thanksgiving 2018, it will be to the many friends who visited us during the year. This year stands out simply by virtue of the number of visitors we welcomed back into our lives. We hope this trend will continue, and we look forward to the next wave of familiar faces, as well as those we haven't yet befriended, to cross our threshold. A parting thought, it bares mention during this feast, just how vital it is to keep in touch with family and friends, especially when the distance of time, geography and beliefs challenge us. We don't come to this feast alone. Instead we bring good will and love. We celebrate the moments we spend together, by kindly listening and sharing. We include those who cannot be with us in our thoughts and stories. They are the rays of hope that fill us, as we gather, beyond our own personal needs. We consider ourselves fortunate to look after others, and are reminded as we do so just how much grace and wonder there is in this world. We care! Click here for more info? As P.A.T.H. FINDERS Intl. turns the page on another year, we reflect back on just how much one year differs from another. We continue to learn by researching the lives of so many interesting people. The family history trips lead to remarkable places that could easily be overlooked, if not for the personal connection. This year was no exception. The only thing that still surprises us after 20 years in this vocation are the variety of details that each family recalls. We feel that this myriad of memories is a true currency of wealth in a world where such details can be too easily lost or forgotten. It has been this rather interesting turn of events that finds us busier today than we have ever been. It is nice to be needed. It certainly does feel good at the end of the day when we can look back at the work that was done with a sense that in some way we helped a some one to understand their family story a little bit better than before. This is not rocket science, or a job that can simply be automated. Every family is different, as different as a house today compared to yesterday, and the process of learning the details of each family’s story does not follow a single path. Yes, there certainly is method to researching and understanding period and local histories, but not one that can be copied and applied in all circumstances. Every family we have the good fortune to work for opens a door for us to share in their journey of discovery. And as we turn another corner we are grateful for the colleagues we cooperate with and the clients who are more like friends. We are happy that our work still has a purpose, and we are hopeful that as long as people enjoy a good story, they will keep turning to us for the services we offer. The Sorcerer’s Aprentice is an old slav tale about poverty and dreams, power and servitude, dark magic overcome by love. It is through this lens that we look back at another year of mysterious changes. A year that began on the road to so many different places, leading back to old friends with whom we explored challenging new trails. So many changes in the world around us, but none more amazing than those in the lives of our children. So many paths we walked, miles we have flown, and so many sleepless nights, until we finally arrived today at the long unresolved reconstruction. A new roof over our heads. In its own special way this past year in our life is a ripple reflecting events in the world around us. Just outside the window we know that not all is well, but it is as it is within the confines of our hearts. Its complicated... but the work continues just the same. We now occupy only half of what was already a comfortably small house, and while we worry about cold nights, wind, rain and snow, this too shall pass... For the moment we are dry and warm, and as we move on into the great unknown, we give thanks for one one another, cherish the memories, and enjoy the view of the heavens above. We are once again sending you our thanks as November brings another season to a close. We are glad for all the memories and the good fortune to have been your hosts and guides. Equally, we are glad to have a little time now to be with our children and loved ones. We can once again rest assured. Still, the news that more friends have passed away, while others are fighting to stay alive, or have lost loved ones causes us to pause. This year has indeed taken a toll from our lives, but it has also given us two visitors, a high school friend and Tom's niece. In both cases we felt so grateful that they made time for us, and we took special joy in showing them around and welcoming them into our home. Besides all the commotion and turmoil of reconstruction, and the busiest work load ever, we still managed to find time to travel as a family, as well as our friends. The loss of an old apple tree at our cottage, and the realization that yet another year would pass without our roof being completed, could not take away from the joy of celebrating our oldest daughter's 21st year, and Marie's mother's 70th. Otherwise, the tragic news and unrest around the world concern us greatly, but they become somehow less oppressive when bags filled with clothing are brought to us from everyone we informed of our intent. We offered to deliver whatever people could provide to families in need on Europe's border. Although it is more complicated in the wake of Paris, we still hope our daughters will be able to deliver these gifts soon. By this desire to face the challenges of these times, our children have taught us not to shrink from fear, but instead to stand up to fear with kindness. 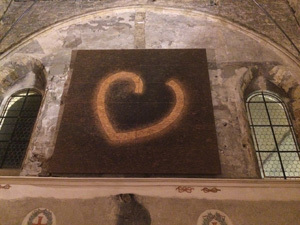 Although we are often confronted and confused by other less generous narratives, we hold fast to our faith in the abundant goodness of humanity. We are happy to send you our best wishes as April begins, the days grow longer and the hillsides take on a luminescent hint of the magic to come. The travel season is upon us! Prague is a great place to be. We would say that, though, having made our home here for 20 years. Beyond the magic of the details, we take great joy in occasional political intrigues, acts of kindness and each walk through the narrow streets is a trip into an historic wonderland. So too, it is our joy to share this with others. It is also our pleasure to mark the season with some good news. This Spring brings a new map feature to our site and lower prices overall for travel. That’s correct, we are lowering our hourly rates, for day trip and Prague tours. This adjustment reflects the strong US Dollar, and keeps our word from more than 10 years ago. The new interactive map lists several places in the Czech Republic and beyond, to give our guests a better idea of the truly remarkable destinations to see. We are certain that most of these are worth a second look, especially if you are planning to pass through a region, while traveling from one Capital City to another. Thus, you are welcome to use this tool for planning your next visit “Region by Region”, and so be sure not to miss any of the wonders. Finally, we wish to emphasize the rather special niche that we serve, “Family Travel”, which has indeed taught us about the unique nature of two and three generations exploring the world together. This has been perhaps our greatest pleasure, besides raising our own family, and we are so excited for the new season to finally begin. This was a year in pictures that is worthy of a symphony. Somehow, as we looked at the pictures here these songs just seem to fit. This doesn't mean we have the blues, but instead it is a representation of a year that was a departure from the ordinary. Indeed, this year was an exception. To begin, our long time friend Justin Wuycheck joined us, like part of our family. With this he got to know several other members of this extended family of P.A.T.H FINDERS. This filled us with hope that he would find happiness here doing what he loves (bicycling and enjoying the vast complexities of wine). We are forever grateful for his stead-fast efforts to master Czech grammar and make ends meet. There were a number of other surprises as well this year. A family re-union, bringing another long time friend and associate, Jan Pařez, together with his distant relatives. In 20 years of working on other people’s family history, this was a chance to enjoy spending a day in his own ancestral villages. Alternately, we enjoyed longer trips with larger family groups this season. In one case 10 days hiking and visiting the whole width and breadth of this big/small country. Several tours took us beyond the Czech boarders as well, and re-united us with some old friends. 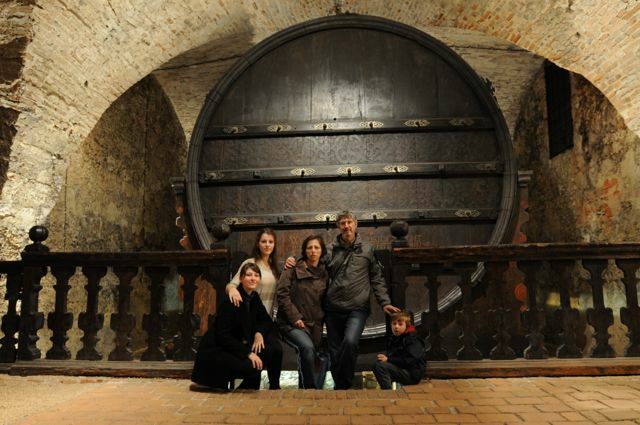 Our thanks go to Bela in Slovakia, the Lesko family in Hungary, Alena in Moravia, Michal in Slovakia and Chris in Poland. You have given us so much to be grateful for. We also wish to thank those firms who have choosen us as their partner in Prague and the Czech Republic. We are especially happy that Marie was busier than ever as a Prague Guide, since she gets to work closer to home. This is a huge benefit for our whole family. We hope that your clients have had nothing but praise for the work we have done on your behalf. Finally, we wish to thank our children. It is surprising that although our days were full with many other obligations, we still found time for one another. Thank you for your patience and help. It is no small task to raise a family, run a business, and reach for new horizons. Despite a busier than usual season, we managed exhibitions, theater, concerts, and field trips together. Not to mention the beginning of an ambitious reconstruction. The challenges remarkably have brought us closer and opened our hearts to one another. Each day, regardless of the daily turmoils, is a blessing that we never cease to cherish. 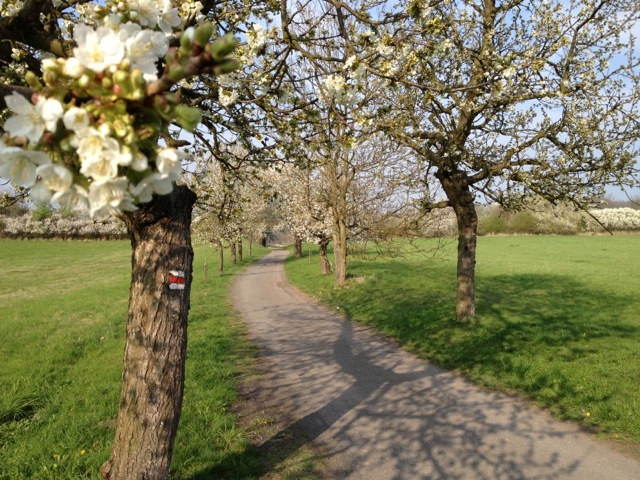 Despite the worrisome news from Ukraine, and elsewhere, the return of Spring is full of promise as always. Perhaps it is the promise that the longest nights will forever give way to the light of day. Even as I write, the rain falls welcome on the soil left dry by March, and the green that replace the bright colors of blossoming fruit trees, tulips and daffodils is difficult to describe. It is not the green of Summer lawns or August mornings. It is the special green of life reawakened. And so today, we finish our tasks in the office, and prepare for one last holiday before the busy season is upon us. It is with great joy that I have saved this one task for the last. This letter is a report of the news here at P.A.T.H. FINDERS to our friends and family, and to you our valued clients. As with so much of what we do, it is with gladness that I give thanks that we are still alive and well, growing as it were in fits and starts. This new year especially has seen a new beginning, with the addition of our long time friend Justin Wuycheck to the ranks of our trusted associates. Justin brings with him 10 years of experience living abroad, from which he spent 7 years as a bicycle and wine guide in France. His passion for both is palatable, as well his efforts to take on a language that once made him ill, and have earned him the esteem of all who know him. Justin arrives at a critical time for us, as we are turning a page with our efforts to promote the Czech Lands to people who do not have roots here. His interest in the culture and especially in the history of this land has helped to inspire us to revisit so many places and topics that we sometimes take for granted. He began by hosting Food & Film nights for visiting college students enrolled through CIEE (Council on International Education Exchange). 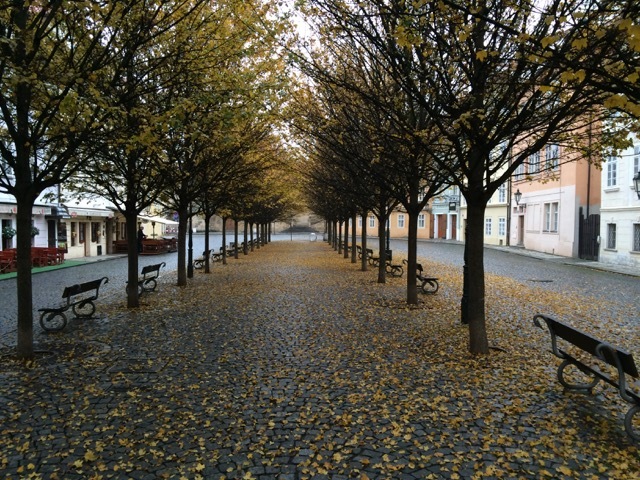 Following this, he soon found several local wine shops in Prague and cellars in places like Mikulov in South Moravia, Velka Žernoseky on the River Lábe, Polešovice near Uherské Hrádišté. He is busy developing a whole new way for our visitors to come to know the Czech Lands. Through its wines and winding country roads that traverse a greatly diverse landscape amidst an otherwise small geographic area. Understandably, we are excited at the prospect of introducing Justin to anyone who wishes to appreciate this place the way we do. Beyond this, are the changes we have made to our PATHWAYS sro web pages. If you have not stopped by recently, we invite you to take a look. And the changes will continue, as we add new tours, a map, event calendar and icon based activity menu. Hopefully this will help to encourage anyone with or without roots here to ‚"think outside of Prague‚". Finally, we wish to assure all of you who have come to rely on us to research your family histories, this remains our highest priority. In 2013 we made some new friends and professional acquaintances. In particular, we are happy to know Michal Razus in Presov, Slovakia, Kasia, Magda and Lukasz in Posnan, Poland, Dr. Wolfgang Grams in Bremen, Germany, and Slav Tsarynnyk, of Lviv, Ukraine. We are very encouraged by the opportunity to cooperate with such a diverse group of enthusiastic family historians. It certainly helps us to resolve questions raised by the frequent intra-European (cross boarder) migration which occurred in the 19th century. Marie and I, along with our associate guides and researchers here at P.A.T.H. FINDERS Intl. are wishing you all the very best on this Easter Holiday, and during the long days ahead. May your garden be full, your harvest rich, and the guests at your table satisfied. Another season has come and gone. And so we now take stock of what it has brought. As always, much laughter and some tears have been shed. This year was rather special, though, as with each passing day life began to unfold like an epic story. Indeed, this year was like a good book. With the perennial change of seasons as the backdrop, time was measured in words, sentences, paragraphs, pages, and chapters.†Sometimes a single day felt like it contained volumes. Ironically, no single genre captures this entirely. Neither do we know what to expect as we turn from one day to the next. It is a mystery, but we still plan ahead. As we look foreward with hope to next season, we take this moment to reflect on the past. Our house became a home again, as our family was re-united after several months. We are still getting used the new (old) circumstances. Nevertheless, we celebrate being together, as we recall loved ones, both near and far. We search for clues to understanding one another. This was a year of long distance Skype calls and freindly reunions, low spirits and high water, loneliness and remarkable strength. It was a year of letting go and soaring to new heights. We stood witness to dreams that came true, and we consoled those whose heroes had fallen. Here is a final thought, to accompany another year in pictures. We are still in the midst of living this story, for better or worse. Thank you all that we have you to share these moments of joy and discovery with. We wish this year did not have to come to a close. It was a special year. In so many ways our lives passed milestones from which there is no turning back. We managed to grow our little business, add a woodburning stove to the house, and in Aug., our oldest child flew to America, for the first time on her own, for 10 months as an exchange student. We could not be happier for Antonie, or more grateful to our friends who are hosting her in their home. In this age of ipads and digital cameras, we speak with her face to face every week, nevertheless we miss each other, especially during the holidays. At home the good news for genealogists is that our second daughter Cecilia has chosen photography as her field of study, to follow in her grandfather's footprints. So we are putting her to work shooting grave markers in cemeteries. This should keep her busy for some time, and hopefully cover the cost of equipment for years to come. In the weeks and months to come these will be posted here (www.pathfinders.cz/photo_album.php), along with an index of family names. Meanwhile, we got the stove fired up just in time for the winter, as the bitter cold has already arrived. These days of tending the fire, beside the stove, are wonderfully productive. We reflect on the year behind us, and even more so, we look ahead to the not so distant horizon of another season. Each year teaches us new lessons and enriches us with new places and people. This year’s slide show tells the story well. From moments that changed our lives, to a glimpse at what and where we hope to return. The slides are not labeled, as those moments are better left as unique (the right place at the right time). This is something of the playful mischief that we take for granted here. There is a certain magic that can be found in so many beautiful places, and we might even find a time of the season in Prague when you could feel like this beautiful city was yours alone. 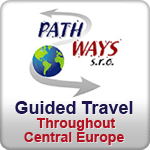 The www.pathways.cz pages will be updated in Jan. to reflect some of new offers, as well as a new calendar, where we will post events and trips that have open enrolment. While this is not possible with family history trips, we have seen a marked increase in the number of visitors who don’t mind sharing the ride. Many new day trips will be offered for different interests (beer, wine, hiking, cycling, hockey, castles, cottages, gardens, foraging mushrooms, pilgrimage shrines, storytelling and music). This is who we are, and we would be happy to make new friends, and take you with us, as we explore Middle Europe. As we enter the final stretch of 2011, the Autumn is upon us like the morning fog. The year was good to us, and left us just enough time to take care. Our children continue to grow and never cease to surprise us by how well they accept our hectic Summer schedule. The van, now in it's 4th year, is as reliable as ever. Even the Dollar, which skirted near a 2 year low, was still manageable. All in all, 2011 marked the first time in several years that we dared dream again. The view from our window in Prague is that of hope. The season started earlier than usual in March, which typically is rather slow here. This was followed by a family trip to Germany, for our first flight in a Zeppelin NT. We hope that such Airship Cruises will become more common, and become yet another way to visit the old country. This alone could have been the highlight of the year, but it proved only to be a great start. With each day, the Spring brought a host of new requests, that filled our Summer calendar. As we look back, there were more trips in 2011 than we have enjoyed for many years. Most of these to extraordinary places, accompanied by new and old friends. It is as though we took off in a dirigible, and we have not yet come down. Return to earth we must, however, to resume the work at hand. To improve ourselves further, what must be done? We plan to expand our travel services to include destinations and activities we enjoyed most over the years. These can be found at www.pathways.cz. Keep in mind, though, that these trips are mostly the product of our guests requests, and so we welcome you to send us your wish list, whatever strikes your fancy. Yes, we can turn your dream into reality. We plan to increase the number of our Friends & Partners, listed on both P.A.T.H. FINDERS Intl. and PATHWAYS s.r.o. web sites. These will include several old acquaintances and new associates. There will be more tips for lodging and places of interest, and a new "Feedback" page. We encourage all our visitors and guests to add their overall impressions about lodging, restaurants, transportation, etc. (not only the nice things that they say about Marie). We wish to thank those serving in Iraq and Afghanistan. Simply identify your branch of the armed services, and we will discount the cost of our travel services by 15%. Also, for anyone serving their local communities as fire fighters, police, or teachers, we will give a discount of 10% for research and travel services (combined). Finally, we wish to remind those of you who have someone special you wish to send your holiday greetings to, we can help. 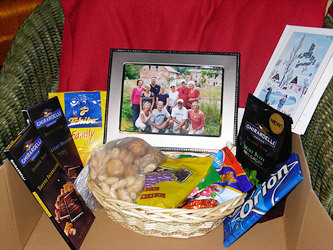 This year our "Gift Baskets for Friends & Relatives" is more affordable and convenient than ever. While prices remain mostly unchanged from last year, we have increased the size of the message you can now send, and reduced the cost to send a color family picture. Furthermore, we now accept payment by credit card, to help expedite the process. To insure that your gift basket will arrive on time, though, please order as soon as possible, as the coming weeks always seem to disappear too quickly.